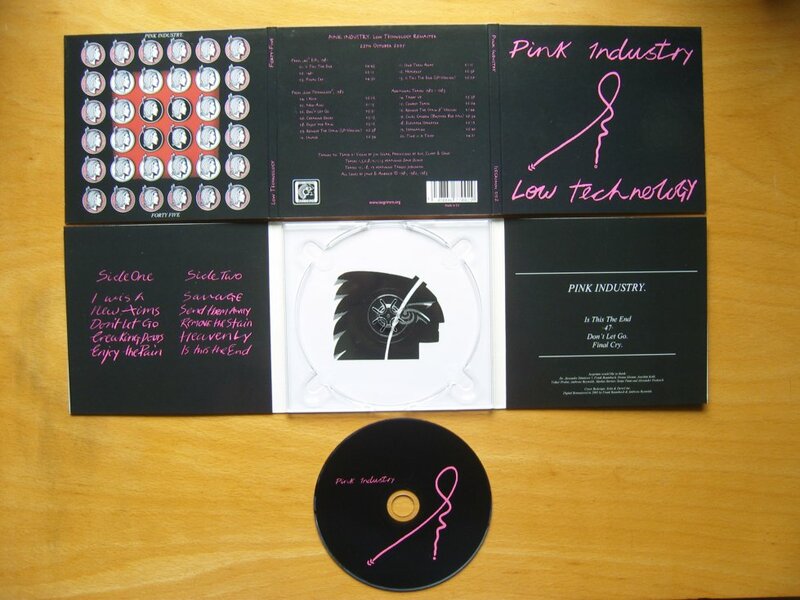 Pink Industrys "Low Technology" is just out as second release at the german label Isegrimm Records,which brought you the industrial legend Gerechtigkeits Liga back, exactly 3 years ago. Isegrimm is very proud to bring this classic electropop band from Liverpol which its first album "Low Technology" back in the minds and markets in a very nice slightly redisgned six sided digipack .The first 12" and some unreleased tracks are included on the almost 63 min running cd. Pink Industry was formed in Liverpool from Jayne Casey(former Big in Japan and Pink Military) and Ambrose Reynolds(from Franky goes to Hollywood also worked with Royal Family &The Poor )and released the first 12" 45 and the first album Low Technology back in 1982. All in all 20 tracks with the lovely,hypnotic voice of Jayne and some totally unreleased tracks will bring you back that good old feeling,where vinyl was god. 26.2.1983    in "Sounds"     ....."Is this the end" is so close to Nico that it hurts. The pressing is limited to 1000 copies. The remaining albums will follow in chronological order and also the solo album of Ambrose Reynold is planned to be rereleased. It was a very hearty thing to rerelease this band as it is my alltime favourite together with Death in June. You can find more infos at http://www.myspace.com/isegrimmrecords and there is also a fanpage for Pink Industry on myspace under the name http://www.myspace.com/yourmomma75 also.